A recently released study powerfully suggests that doctor resistance to prescribing highly effective isoniazid preventive therapy (IPT) to their TB-negative HIV patients is contributing to the national TB epidemic. Until now, much to the chagrin of the HIV Clinicians Society of Southern Africa, there has been significant anecdotal evidence about clinician resistance across the country to use the World Health Organization (WHO)recommended preventive TB therapy. The qualitative study is the first to produce actual evidence of doctor ignorance and/or fears of IPT in spite of exhortations, including from the national health minister, Dr Aaron Motsoaledi, to make it standard practice. Isoniazid, also known as isonicotinylhydrazine (INH), is an organic compound that is the first-line medication in prevention and treatment of TB. It is a simple and cost-effective measure that, most importantly, prevents TB bacteria from becoming active if present. The drug is never used on its own to treat (as against to prevent) active TB because resistance quickly develops. The 'Barriers to IPT use' study setting was the Aurum Institute, an internationally recognised, not-for-profit specialist research and health systems management organisation set up by Anglo-Gold Ashanti in 1998, but now an independent body. The institute specialises in TB and HIV prevention, treatment and care and delivers ART and prophylaxis, including IPT, free of charge. Aurum CEO, Dr Gavin Churchyard, and his colleagues collaborated with researchers from the London School of Hygiene and Tropical Medicine to probe why IPT was so seldom prescribed in the public clinics under scrutiny.1 They concluded that a change in health care worker perception was needed if IPT was to be widely used in the public sector. Exhaustive interviews with 22 clinic staff and 20 patients showed that the mindset and a lack of experience among physicians were the biggest barriers to implementation - well ahead of the unwieldy systemic need to refer patients to separate clinics for TB screening. The requirement to rule out active TB prior to beginning IPT was perceived as a critical barrier by most clinic staff. Prescribers were unaware of the benefits of IPT, unclear about the guidelines and believed that existing screening tools were inaccurate in HIV-infected individuals. The study found that clinic staff prescribed IPT according to inconsistent criteria. Only one site prescribed according to Aurum guidelines. Two sites used IPT in patients with CD4 cell counts less than 200 and one site thought IPT should only be used in patients on antiretroviral treatment (ART). Although all doctors had heard of IPT, several were either unaware of its efficacy in preventing TB or believed that the evidence was equivocal. Perceived operational barriers included a number of practical issues that staff believed were prohibitive to the use of IPT. One was that using isoniazid without other TB medications would induce drug resistance, particularly in the South African context of multidrug-resistant (MDR) and extensively drug-resistant (XDR) TB. The consensus from current literature is that IPT does not promote isoniazid resistance.1 Another perception barrier was the belief that the high prevalence of TB meant that starting empirical courses of full treatment for TB was safer and offered greater benefit than prophylaxis. All nine doctors who took part in a focus group discussion cited the need to screen for and rule out active TB prior to commencing IPT as a major concern, arguing that false-negative sputum tests and chest radiography, as well as atypical presentations among those infected with HIV, made TB screening difficult. The researchers concede that most investigations for TB screening were performed offsite (only one clinic had chest radiography and none could test sputum on site). They reported clinic staff as frequently citing a lack of co-ordination between TB and HIV activities as a barrier to starting patients on IPT. However, the researchers said that in a programme that had promoted IPT since its inception in 1999, the lack of clarity around its benefits among health care workers was 'all the more remarkable'. The research team speculated, without naming anyone, that public opposition to IPT 'among some senior clinicians in South Africa' was the reason for the physician resistance they encountered. Policy clarification and dissemination of accurate information were urgently required and well-chosen local opinion leaders were needed to act as 'IPT champions'. The authors said a much greater effort was needed to achieve widespread IPT roll-out. Overcoming operational barriers, while necessary, was not enough without a parallel bid to change the perceptions of health care workers. 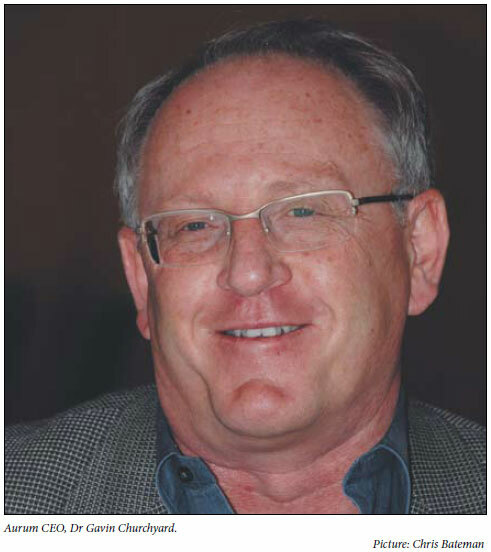 Dr Francois Venter, President of the HIV Clinicians Society of Southern Africa, said that within the wider South African context IPT was 'more of a hostage to a bad system than to physicians'. Agreeing that education of physicians was important to counter low IPT usage, he said that far more critically 'we need to think harder about what carrots we can dangle to get healthy HIV-positive people back into the system'. IPT was 'great' for preventing TB in patients who did not need ARVs, 'but we've been dreadful in retaining them in the system - the problem is the system required to give IPT is grossly dysfunctional'. Even if 'the perfect tablet (with no resistance) was available, these folk would still not come into the system. They don't see any benefits, particularly when the health system is unfriendly.' Venter said that nationally, 'I don't think health care worker fear (of IPT) is the biggest issue - nor is it insurmountable,' he added. Dr Gottfried Hirnschall, Director of WHO's HIV/AIDS Department, said full implementation of the 'three I's for HIV/TB strategy in collaboration with all partners was urgently needed'. 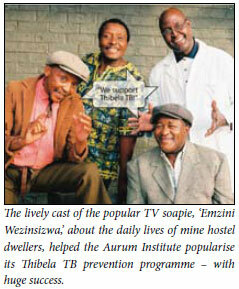 IPT, intensified TB screening and infection control for TB were vital as part of comprehensive HIV services. Hirnschall said key recommendations from new scientific evidence were that all children and adults living with HIV, including pregnant women and those on ART, should receive IPT. Isoniazid should be provided for 6 -36 months or as a lifelong treatment in settings with high HIV and TB prevalence (89% of miners are infected with TB). People living with HIV who may have TB symptoms should be further screened for active TB or other conditions so they could access the appropriate treatments. Added Dr Mario Raviglione, WHO's Stop TB department chief: 'We need to break the chain that links TB and HIV, leading to death'. The WHO would support all countries and communities to implement the new guidelines. The potential preventive efficacy of isoniazid is best illustrated by a proven 36% rise in the risk of TB for every drop of 100 CD4 cells/µl among HIV-positive people. Other studies conducted among miners by Churchyard and his colleagues included the Thibela TB study, which is evaluating the efficacy of community-wide IPT, which was the focal point for the much-acclaimed findings, first presented at the 2nd Consortium to Respond Effectively to the AIDS/TB epidemic, (CREATE), in Cape Town during the first week of November last year. A total of 24 221 miners were started on IPT from April 2006, the largest number of participants ever enrolled into a trial of IPT globally. 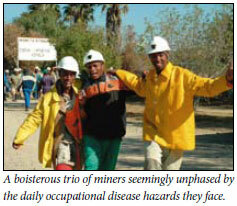 Knowledge among miners was poor, but once the concept was popularised through a highly successful and sophisticated awareness campaign across mine shafts, mine unions actually threatened to strike unless the programme was implemented.2 Final efficacy results are expected early in 2012.